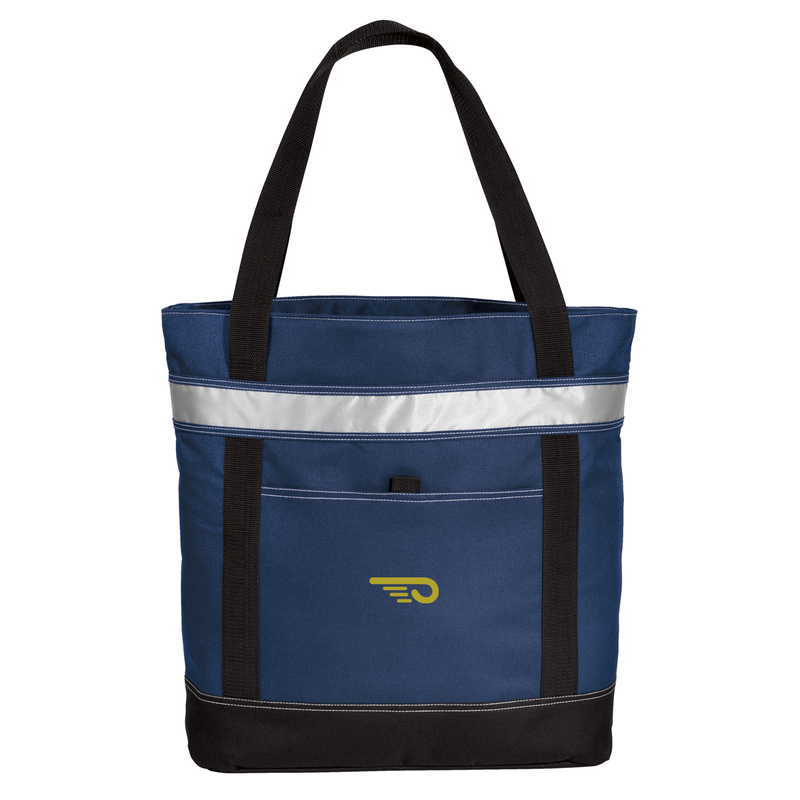 Perfect for boating, camping and picnicking, this extra large insulated tote features a deep storage compartment with a heat-sealed, water resistant lining. Simply wipe clean when the fun is over. The Hinckley Yachts logo is embroidered on the pocket.